VisitScotland ran a poll a couple of months back to identify what were Scotland's favourite golf hole and while my natural reaction is to recoil from anything on Facebook that tries to entice you in with the "UK's 50 Favourite 70's Classic Rock Albums" or "Top Twenty Late Night Kebab Shops in Edinburgh" it is difficult to ignore a list of Scotland's favourite holes regardless! It is clearly one of the most subjective questions you could ask any golfer with every answer likely to be as individual as their swing but the poll did what it was meant to do and created a conversation and that conversation carried into the recent post Golf Tour Operators' meeting drink in a St Andrews bar! The VisitScotland poll came up with the following "Best ofs". We asked the Scottish Incoming Golf Tour Operators for their thoughts on this taxing issue and here's a few of the responses. You have to start at the very begining I suppose. In the VistiScotland poll Scotland's best opening hole was voted as The 1st at The Old Course and probably by quite a long margin. However there are many memorable Firsts throughout Scotland. Machrihanish is certainly one for the books for sure crossing the Atlantic as it does. Royal Dornoch with the clubhouse, hotel and road all in view and the flags fluttering above your head is quite daunting. I always had a soft spot for the first drive at Tain with it's mystery second shot to follow too! 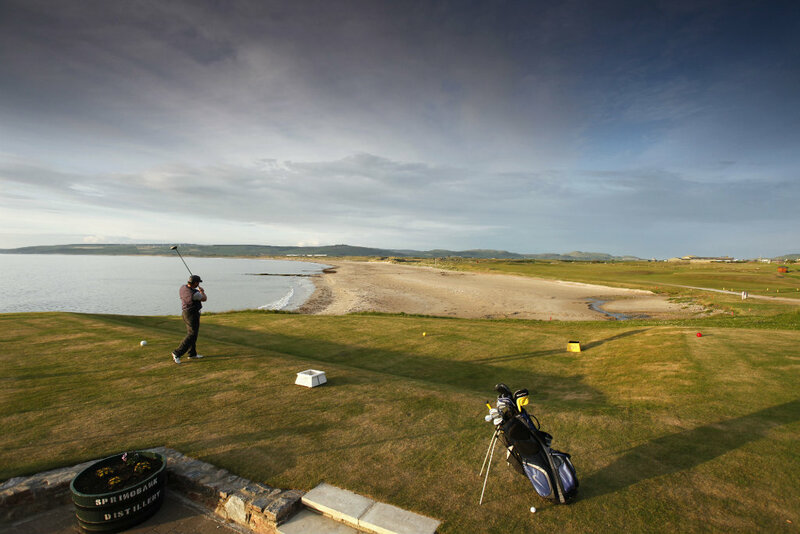 Nairn has the magnetic attraction of the sand and the sea on the right for the only slightly out to in opening swing. The first at The Ailsa is hardly the most difficult of shots but again the bushes to the immediate right of the front tee (before they were cut back) seemed to catch a disproportionate number of poor tee shots from other wise good golfers. The weight of history has some bearing on the pressure art these "firsts" on championship links we think. 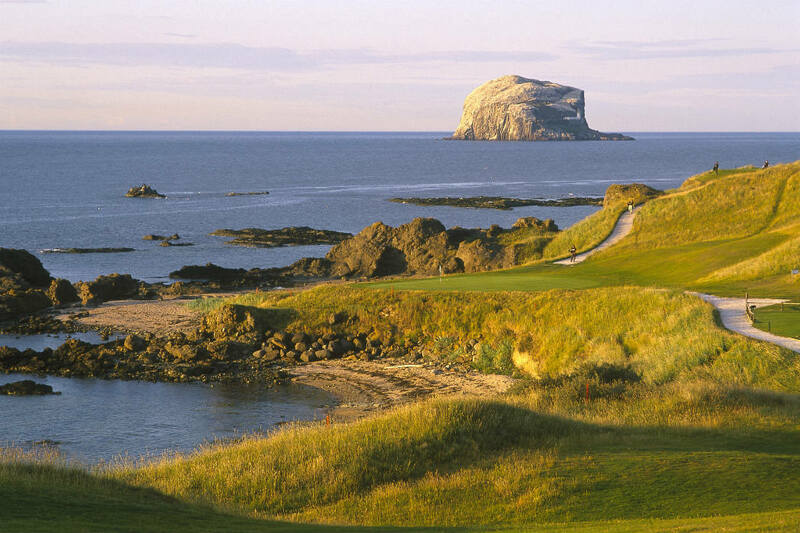 "Despite the relative straightforward nature of the 1st hole at the Old Course, I find it one of the most formidable & memorable holes in golf in golf. There is almost always a significant gallery of onlookers watching people teeing off which can be quite intimidating for an amateur golfer. 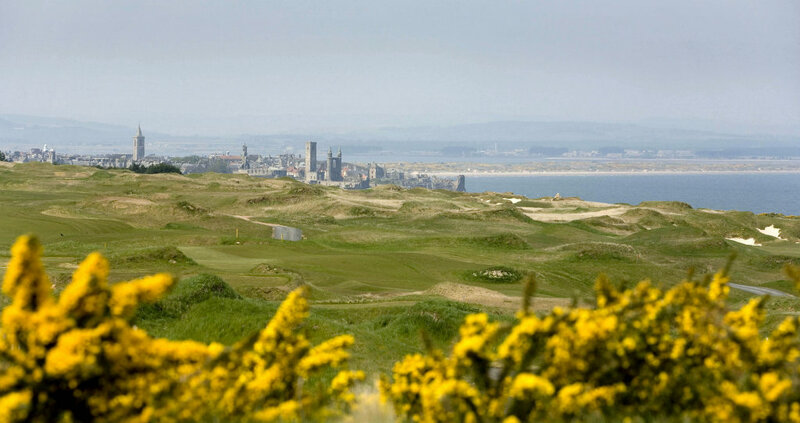 By the fact that the first shares the same Fairway as the 18th and is partially surrounded by the houses, shops and hotels there is feel of an amphitheatre which reduces normally cool heads to knee jangling wrecks. Having negotiated the tee shot you then have to clear the Swilken Burn to land on the green and I have lost count of the number of times I have had to retrieve my ball from the water. Peter Craigon from Morton Golf agrees with the pressure theory. Why the 1st at The Old Course? "Simply because there is not another hole in the world that induces so many nerves for golfers from all over the world!" 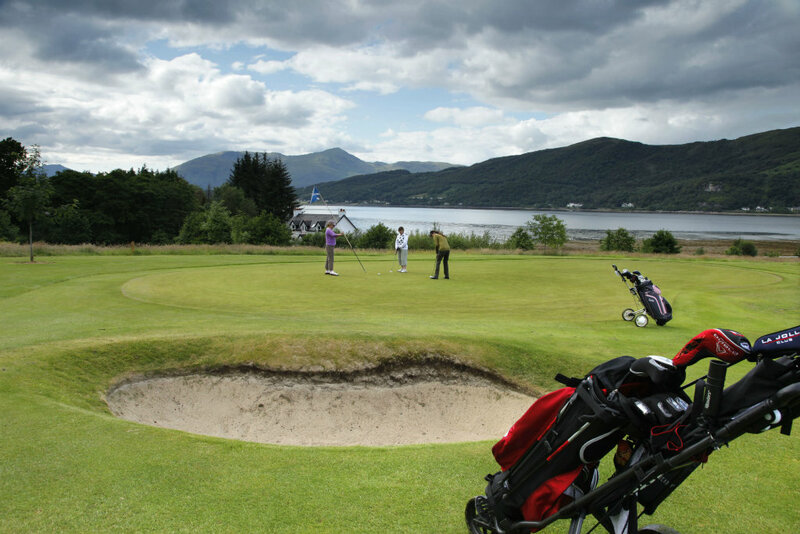 Dave Harris from Bonnie Wee Golf prefers the south west coast opener in remote Argyll. Best Opening Hole for me has to be at Machrihanish. 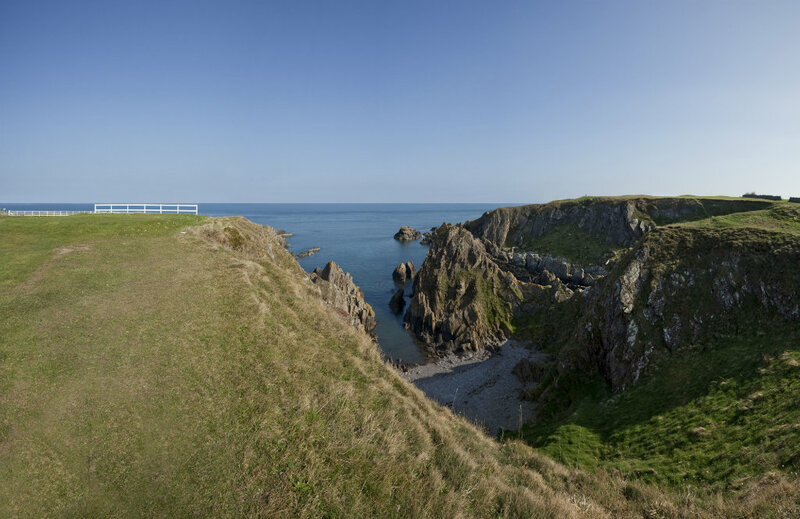 The course was designed by Old Tom Morris and the opening hole is named Battery and if the wind is in your face and the tide is in then you are hitting your opening tee-shot over The Atlantic Ocean and that wee ball is going to take that "battering" from your driver. 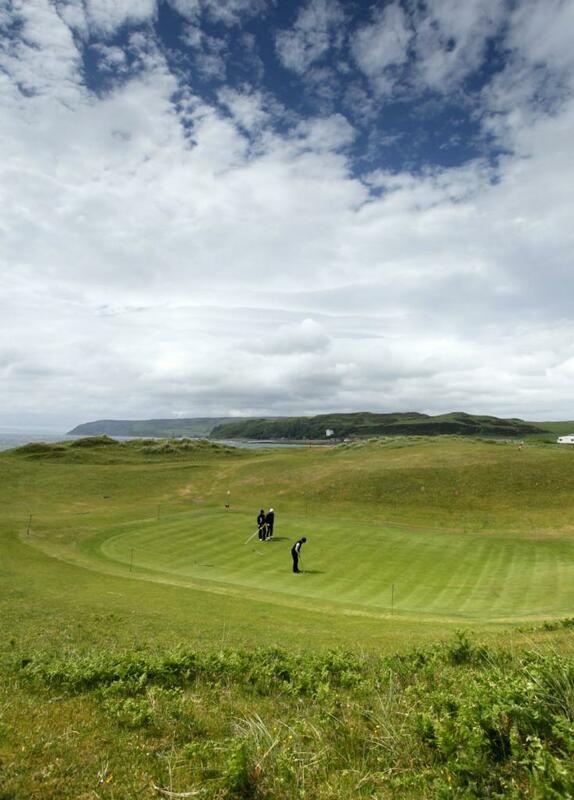 It’s a great start to a great, classic links course. It has to be Prestwick. The Prestwick caddy will hand you a particular iron based on what you tell him your handicap and tell you all you need to do is land it on that strip 150 or 160 yards down the fairway however time it right (or wrong) and you could hit a bridge, a passenger or a train! Gordon Adam, from Drum Golf continued with his thoughts. To me the best Par 3 is the fifteenth at Kingsbarns - its location and framing is just spectacular particularly when in full bloom but for views the highest point on Brora where you can see, I'm sure, all 18 holes takes some beating and for me the very best finishing hole has to be Muirfield. My favourite moment on a Par 3 has to be 13th on Carnoustie's Championship Links only because I aced it after taking the place of a client who was too tired to play! In reality the best par 3? I can't chose between the13th at Muirfield and the 7th at Western Gailes both are holes that make you stop and look before you even think about selecting a club. My personal favourite par four hole is at Royal Dornoch, play the 14th in the evening as the sun sets and you will see the undulating shadowed fairways at their very best and if i was to select the final hole I'd play on my final round of golf then how could I chose anything but that walk up the 18th on The Old Course. Magical. The finishing hole on the Kings Course is my tops, the view is wonderful and the design of the hole with the elevated tee makes everyone want to blitz their drive to get over the ridge. It's 250 yards from the tee but as it is downhill it gives the illusion that you can do it. He also goes for the 15th at Kingsbarns as his favourite Par 3; "It’s even better than the 7th at Pebble and nearly twice as long!" 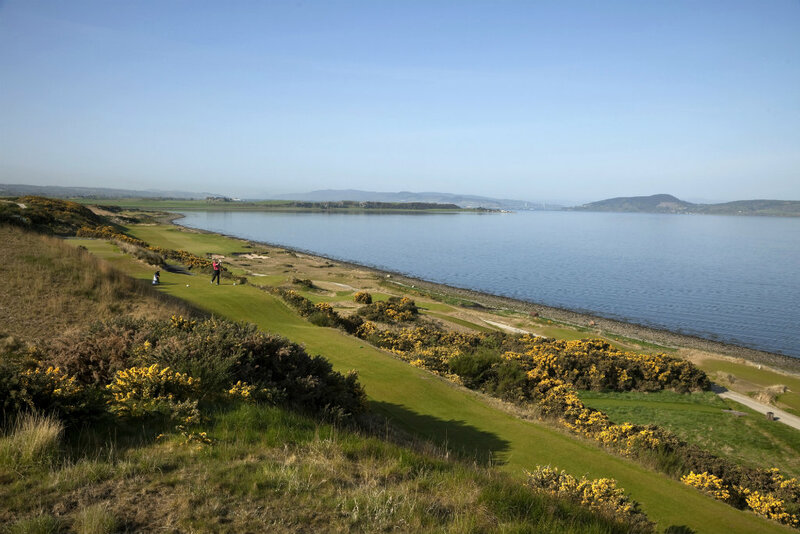 and the selects a lesser known for Best View – 14th tee at Lundin Links, called Perfection, another hole where you can see every other hole on the golf course and superb views over the Firth of Forth. Another Fife links course, Crail, for me provides the best view from any clubhouse where from the lounge you can see every shot played on the last 4 holes. The Hardest Hole still has to be the Road Hole, the 17th on the Old Course and for me the most interesting clubhouse is Turnberry. Most interesting Clubhouse – Turnberry – just love looking at the old pictures and the boards showing results from previous Opens. The hardest finish? 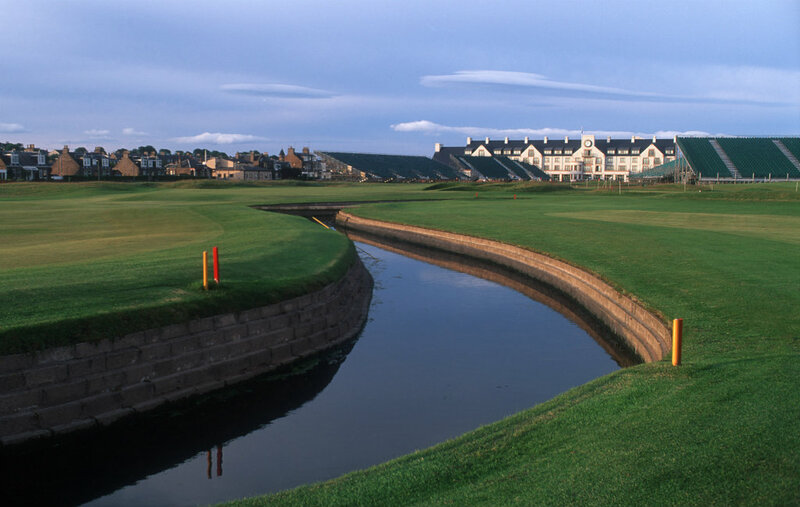 That's without a doubt Carnoustie – the last 3 holes are the hardest stretch in Major Championship golf. Dave Harris, Bonnie Wee Golf chips in metaphorically with his views. Best Finishing Hole undoubtedly has to be the St Andrews Old’s 18th. It is the greatest walk in golf, walking in the footsteps of so many golfing greats. There will more than likely be a wee gallery around the 18th green, waiting to give you a cheer if your birdie putt drops. Then you walk off their into the very best 19th Hole too! The Dunvegan Hotel in St Andrews is the best apres golf venue in Scotland by far with great pub food too. For me the Best Par 3 is a local one,The 8th at Royal Aberdeen, which is guarded by 10 pot bunkers and finest par 4 is the new and improved 10th hole on the Ailsa Course at Turnberry. Add to this the 12th at Kingsbarns, St Andrews as the best par 5. You can get on in two, but you may end up with a 100 yard putt for your long hitting! Best Hidden Gem is really hidden too and that's Askernish on South Uist in the Outer Hebrides. 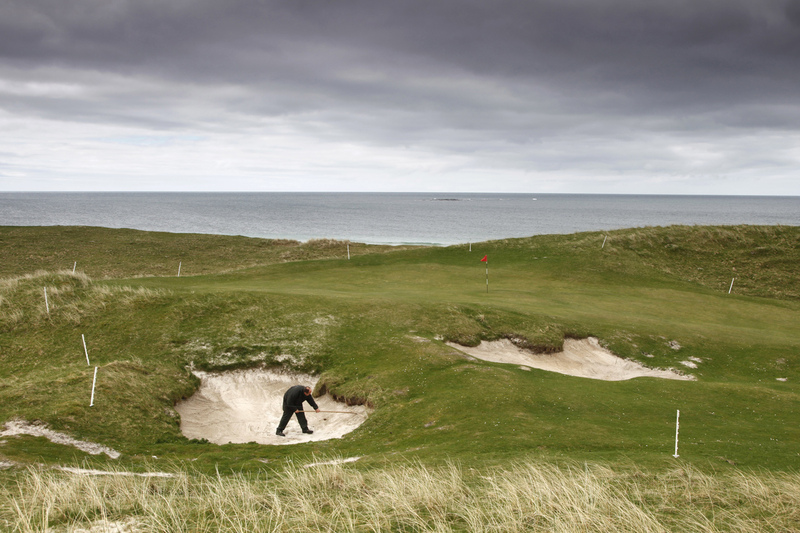 This rediscovered Old Tom Morris Course is a real hidden gem and it was hidden for many years. It takes a wee while to find it, but it is well worth the effort. So there you have it, the voted for and the equally subjective views of some of Scotland's Golf Tour operators. What is for sure is that you will never agree with all of the above but maybe it's a good game to play during your next trip to Scotland! Tell us your favourite holes of 2017 and maybe we can pull together a new article at the end of the season!